The Schuberth S2 is the universal, full-face street helmet that caters to the sophisticated community of technical touring riders. It has an aggressive profile that is enough to transcend into the sport world. 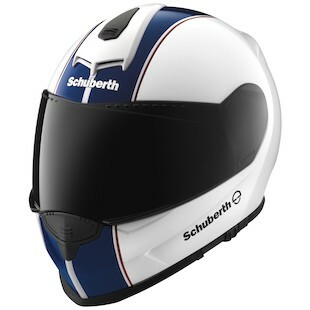 The Schuberth S2 Lines design provides a more sporty graphic to appeal to this type of rider. It's available in black/white and white/blue/red. The Lines graphic has all of the same features as the solid colored Schuberth S2, which is available in black, matte black, white, gloss silver and Hi-Vis.